The most personal Coffee Gift you can give. You select the variety from our current coffee offering. 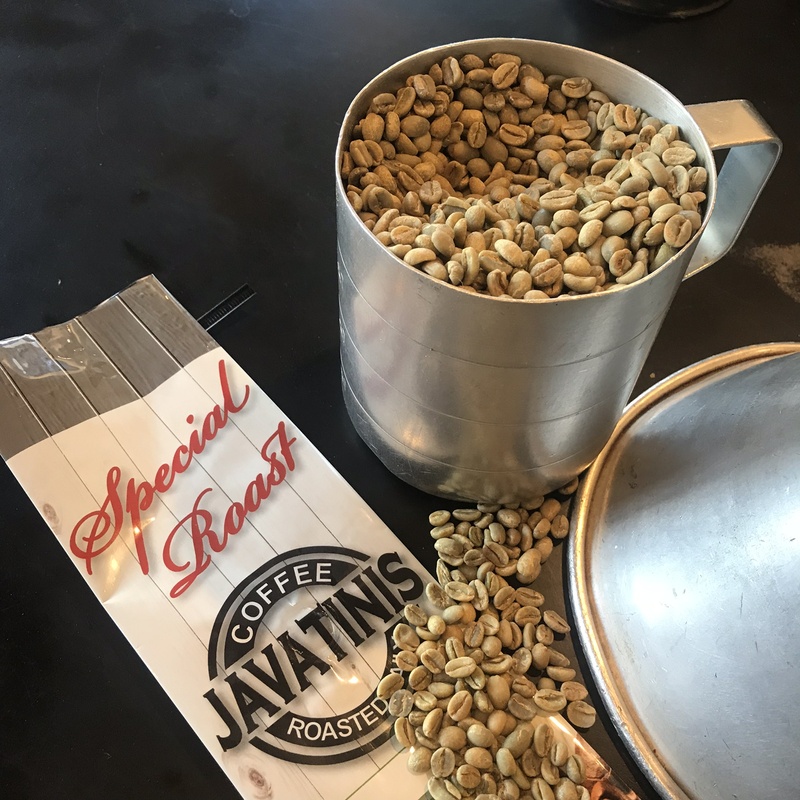 You select the roast level to your choosing with the help of Javatinis Owner/Roaster. Make an Appointment on 12/15 Now. You select the Coffee Bean Variety from our current offering sheet. You select the roast level to your choosing. The Roaster/Owner will help you in reaching your personal decision. You program the Roaster for you Roast level. You charge the Roaster with the green beans. You drop the beans once the roasting is complete. You load your custom made coffee bag.